Thanks for visiting electricians Dublin 13, we are your local team providing a full range of standard and emergency electrical services throughout D13 and the county. We are a well known and established company and have now been trading with great success for over 25 years now. As with all reputable businesses we carry full public and professional indemnity insurance. For peace of mind all of our work comes with our standard "Dublin 13 electricians" parts and labor warranty. We provide domestic, commercial, industrial and emergency electrical services as required, jobs both large and small. Emergency electricians Dublin 13 always on call. 24/7-365 our emergency D13 electricians are always ready for those emergency electrical situations that just won't wait. 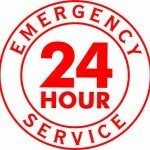 We operate a 24 hour on call system to ensure our clients are never left stranded. If you call us at any time of the day or night we can have one of our team out to your home or business within the hour (traffic dependent). Please see below just some of the domestic electrical services electricians Dublin 13 can provide. Repair and installation of sockets. Repair and installation of standard lighting and circuitry. Full or partial home rewiring. Repair and replacement of fuses and fuse boards. Security alarms, C.C.T.V.cameras and monitors. 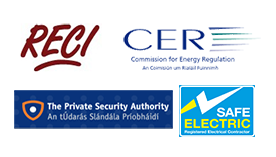 Our Dublin 13 electricians are also all fully qualified and R.E.C.I. accredited with years of experience in the trade. We believe we provide the best value for money electrical services within the industry. We, unlike some electrical contractors are happy to have our prices on our website as we know how fair they are. We have a portfolio of happy clients including social housing projects, a major insurance company and the four courts to name but a few. When our friendly staff take on a job you can be assured of the highest standards of work and reliability for your project. With our D13 electricians you are always in safe hands. Call 01-6874854 for emergency electrical services, free quotes or professional advice today. CALL 01-6874854 OR fill out the contact form below for a quick and competitive quote!